On the first Monday of each month we serve a very tasty brunch from 12pm-1.30pm. 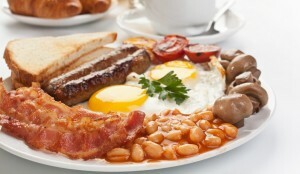 Choose from a Full Monty at just £6 or a Half Monty for £4 for those wanting a lighter lunch! No need to book, but get there early as once it's gone, its gone.